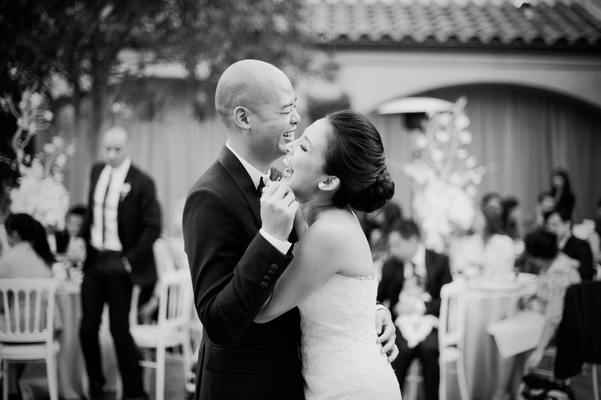 Wilson Wu proposed to his girlfriend while on a romantic trip to Napa, California. 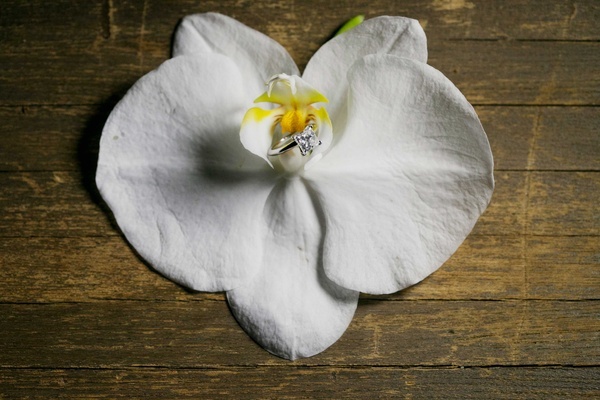 He may not have been too smooth with his plans – “He was acting so suspicious [that] I knew right away he was going to propose that weekend,” Nini admits – but the princess cut solitaire was more than enough reason for his future bride to say yes. 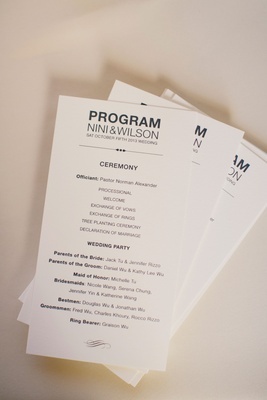 Having the wedding of your dreams is practically a given when your sister is a wedding planner, and Nini Tu was more than happy to use her sister’s advice. 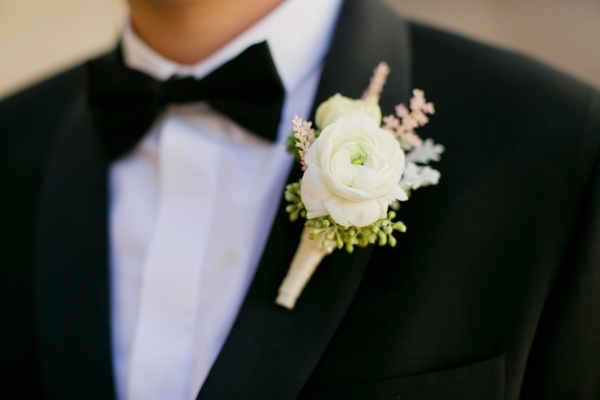 “My sister said to simply enjoy the wedding as a special day between my husband and I, instead of dwelling on all the little details. 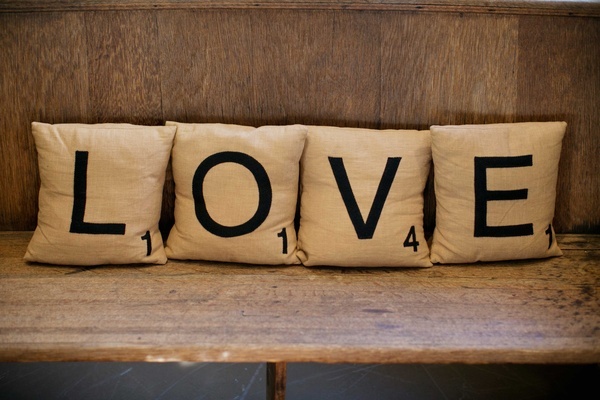 She told me to let her worry about those things,” the bride shares. Keeping with that advice, the happy couple spent several months enjoying their engagement before the wedding planning began. 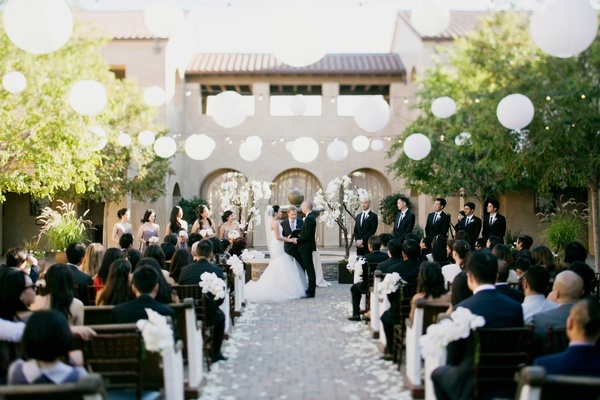 Though the proposal took place in Northern California, the bride and groom elected to host their nuptials in San Juan Capistrano in Orange County. “We wanted an outdoor intimate venue where we could celebrate our big day with our close family and friends,” notes Nini. 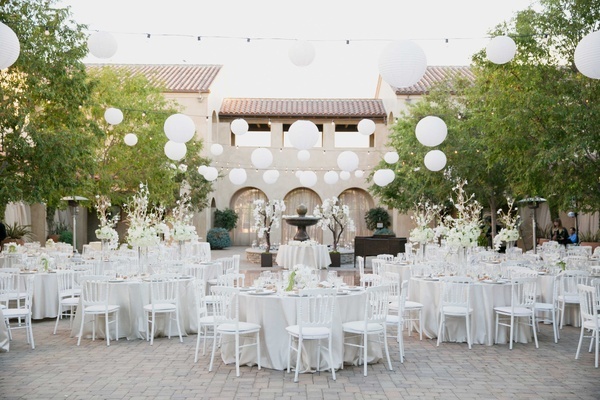 The Spanish-style courtyard is merely blocks away from the historic mission, which the bride and groom took full advantage of – for better or for worse. 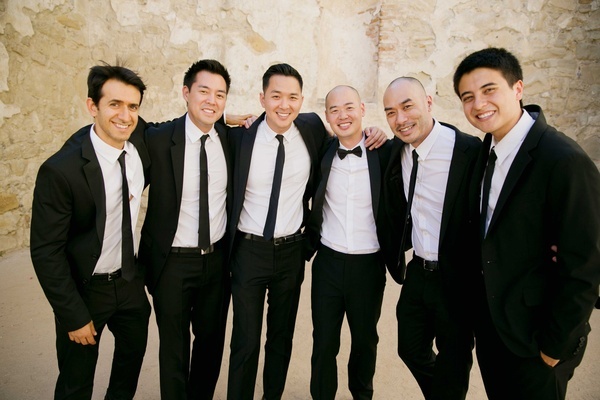 “We were definitely running behind from all the wedding party photos at the mission. We barely made our ceremony!” Nini laughs. 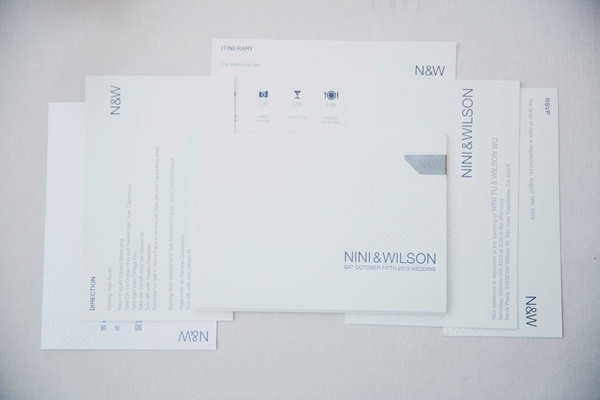 Before the nuptials took place, Wilson and Nini honored their heritage by partaking in a traditional tea ceremony with their parents. The bride wore a stunning red qipao for the service. 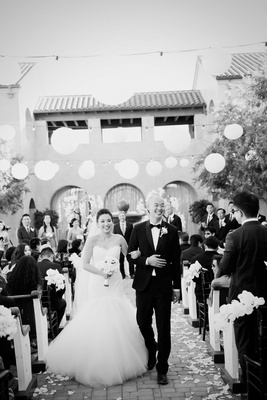 “[The] tea ceremony was a very important part of the wedding where we serve tea to our parents to show our appreciation and gratitude for raising and nurturing us,” the bride explains. Afterward, Nini changed into a jaw dropping Romona Keveža strapless gown featuring a sweetheart neckline and lace bodice with a drop waist and full tulle skirt. Her cathedral veil added to the resplendent drama of her ensemble. 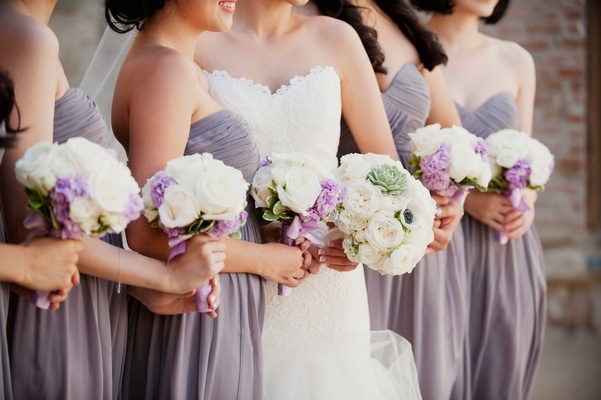 The five bridesmaids wore elegant mauve dresses in flowing chiffon. 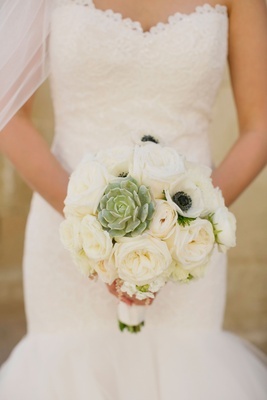 Their bouquets complemented the frocks, with cream blossoms and pops of lavender blooms. 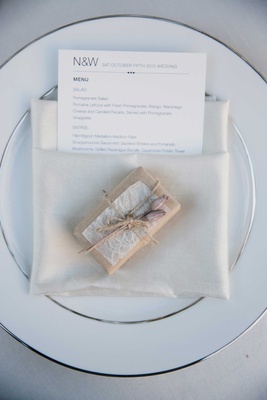 Friends and family sat on wooden benches accented with pearlescent orchids and ivory rose petals at the base. 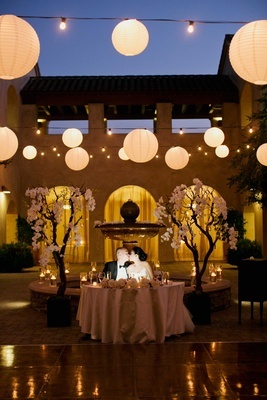 Strings of lights and paper lanterns crisscrossed over the ceremony space, and remained in place after the courtyard was transformed into a reception venue. 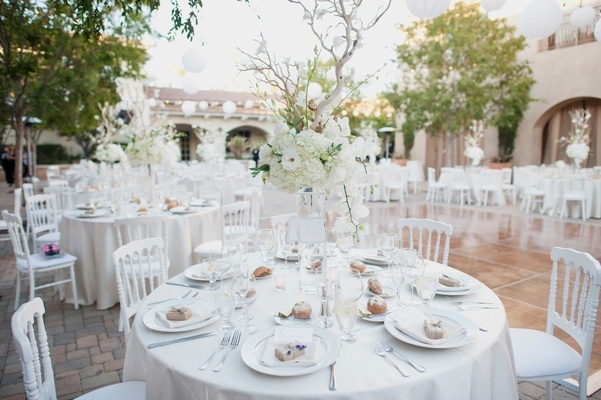 Hues of white ruled the day, with touches of greenery adding to the décor. 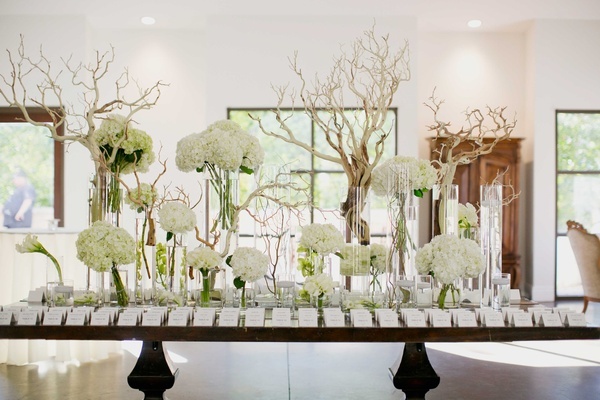 “I wanted a very organic and modern look to my arrangements and centerpieces. I had lots of Manzanita branches with orchids and greens to create the natural lush look that I wanted,” tells Nini. The newlyweds charmed guests by laughing their way through their first dance. 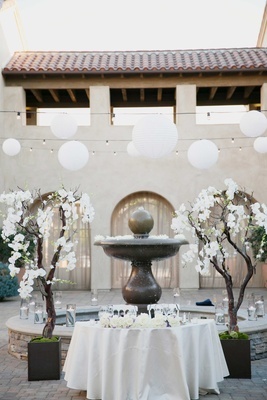 The sweetheart table stood where their altar had been, and was framed by two trees covered in orchids. 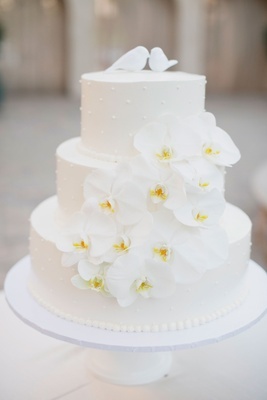 The three-tier red velvet cake was frosted in classic white and featured subtle three-dimensional polka dot detailing and cascading orchids. Cake toppers of ceramic alabaster lovebirds represented the beaming bride and groom. 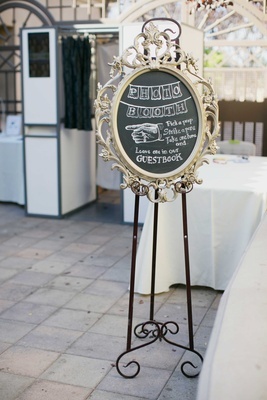 There is no fear of wedding horrors causing sibling squabbles between the bride and wedding planner: “My wedding turned out exactly [as] I envisioned, if not better!” gushes Nini. 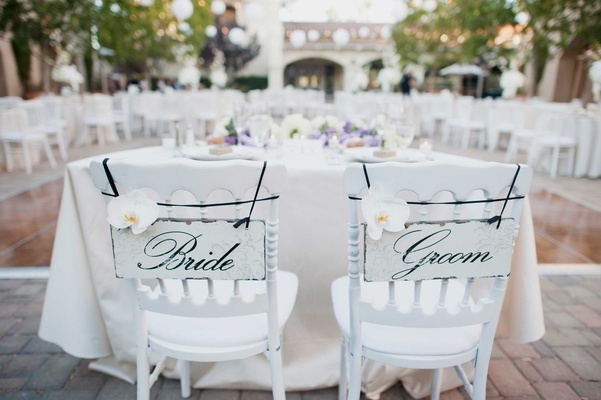 In the case of these nuptials, sisters know best.